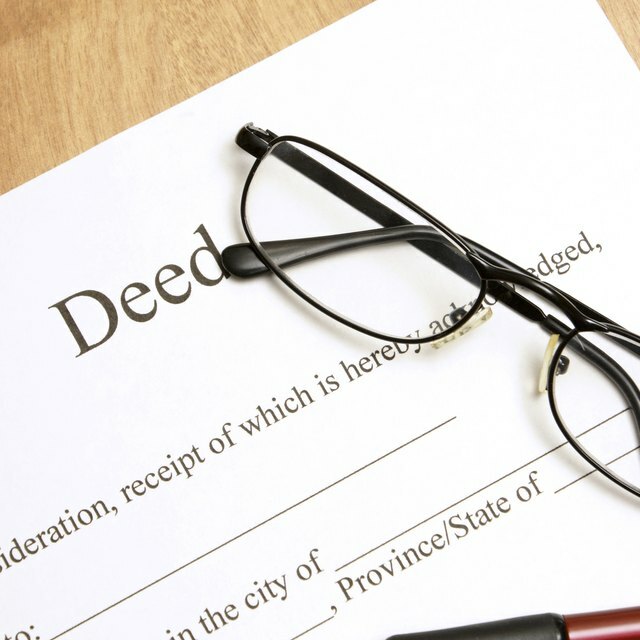 What Is the Purpose of a Quitclaim Deed? A quitclaim deed is referred to in the legal profession as simply a "quitclaim." As the term implies, someone signs over their interest in real property. On the contrary, the function of a quitclaim is the exact opposite of a warranty deed that transfers a title to property. When Is a Quitclaim Used? A quitclaim is a legal instrument that releases a person's current or future interest in real property. Quitclaims are commonly used after a divorce when marital property is awarded to one spouse by the court. The other spouse signs a quitclaim to release his or her interest in the property, giving title to the spouse who was awarded the property. Quitclaims are also used when a person establishes a living trust. The person can quit their interest in their home, transfer title to an heir and grant themselves a life estate so that they can still reside in the home as long as they live. Another time a quitclaim may be used is during the course of a real estate transaction when a seller wishes to release all claims to the property before it is transferred to a buyer. A quitclaim does not guarantee to the person who receives title that there are no encumbrances on the property, such as a tax lien. Nor does a quitclaim assure the person who receives title that there are no other parties with an interest in the property unless the property is transferred through a granted (warranty) deed. Some divorcing couples may assume that signing a quitclaim also releases them from liabilities with respect to a mortgage loan. A former spouse who signs a quitclaim must go through the lending company to remove his or her name from a home loan. The quitclaim form is prescribed by state law and is usually one page in length. It is comprised of the names of the grantor (the person releasing interest in the property) and the grantee, a legal description of the property and the county and state in which it is located, the amount of consideration paid (usually $1 if the interest is not a gift), and signature lines for the grantor and notary public. What Does Loan Reconveyance Mean? Who Is the Grantee Under a Deed of Trust? In most states, the grantor signs the quitclaim in the presence of a notary public. Some states require that the grantee also sign the quitclaim or that the grantor's signature be witnessed by another party other than the notary. The quitclaim is then filed in the county property records. The grantor may have to pay a small filing fee or transfer tax, depending on the amount of consideration in the quitclaim. Once a quitclaim is signed, notarized and filed, it is almost impossible to undo unless a grantor can prove that the quitclaim was signed under threat, duress or fraud. The only way the grantor can get back his or her interest in the property is if the grantee assigns it back. For this reason, it's important that anyone who is asked to sign a quitclaim consult with an attorney before signing away an interest in real property.